Breastfeeding brings a whole array of logistical challenges, whether it be where to feed, trying to feed on-the-go or finding suitable clothing. 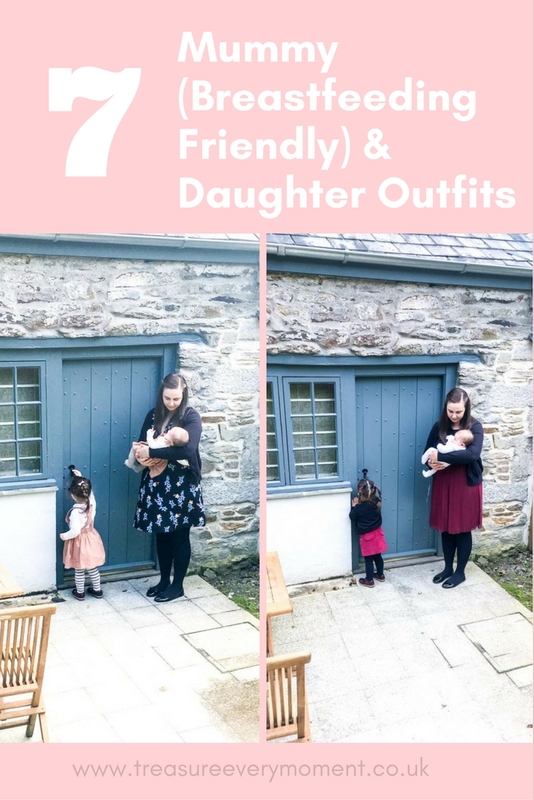 Back when I was breastfeeding Isabella I really struggled with adapting my wardrobe to not only suit my 'post baby' body, but also that were nursing friendly. I spent many months feeling really self conscious and unsure of how to approach this new way of life. Where are your favourite places to shop for clothes? Some lovely selections here I love how you have captured the same pose with all of you in different outfits on different days! I mostly want to know what you put on that door handle to keep Isabella so entertained! Aww, you two look so cute together. My fave is the matching outfit on Day 5. Thanks for these pretty outfits! I am a mother of twins. One is breastfed and one gets organic formula with soymilk from myorganicformula.com/collections/hipp/, because of his lactose intolerance. It really is a hard job to feed them both at once. I will check out these clothes, when they are easy to handle for breastfeeding. Thank you for your suggestions!